Provide comfort for the family of Peter Francis with a meaningful gesture of sympathy. Passed peacefully away, Peter A. Francis, on Friday March 29, 2019 at Brookfield Hospital in New-Wes-Valley, NL at the the age of 88 years. Peter was born on September 15,1930 in Clarkes Head and lived there all his life. Peter never married or had children of his own but again he gain a family with Gwynn and Jackie Gillingham and their 2 daughters, Shawna and Bekki. Peter was predeceased by his parents Elijor and Jessie Francis; his brothers: Harold, Leonard, Dominic; sisters: Jeniva, Mary, Beatrice, and a close family friend and caregiver, Jackie Gillingham. Peter leaves to mourn with wonderful memories Gwynn Gillingham (Myra) or Clarkes Head who he consider like a son. Shawna Gillingham (Perry) and Jeana of George's Point, Bekki Sceviour (Steve), Jude and Rachel of Kelligrews, Danielle Broomfield (David) of Clarkes Head and Bradly Hurley of Clarkes Head, sister Philomena Broderick of Gander; as well as a number of family and friends. Gwynn, Myra and family would like to send special thanks to the staff at Riverview Home in Gander Bay, especially Ann Swain and also the staff at Brookfield Hospital. Your care and thoughtfulness to Peter will never be forgotten. As per Peters wishes, cremation has taken place. A small family service will take place at Staceys Funeral Home, Gander on Sunday March 31, 2019 at 11:00 a.m., with interment to take place at a later date. 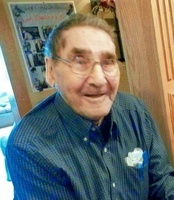 Donations in Peter's memory may be made to the Gander Bay Roman Catholic Cemetery Fund. To send flowers in memory of Peter A. Francis, please visit our Heartfelt Sympathies Store. Provide comfort for the family of Peter A. Francis by sending flowers. I have so many memories of Pete, I am his niece and lived right across the road from him, watch him enjoy his game of cards many times. Living across the road from him we witness many habits that he had, and always a chuckle , Pete would wash is cloths outside, shave and cut is hair , a chuckle then but a precious memory now. Pete was a walker, he would walk every were, he collect thing such as hub caps and loved to add bright thing to his home and garden. He loved his cook dinner and would say your mother cooking today, if any left over bring me in some, bringing in Pete cook dinner meant money a dollar if you were lucky, but one problem, you had to be there before Joanne and Yvonne, because this was a bit of a competition for us, because the first person there well that's who got the dollar, if there was one, or Pete would say Me MY God me got no money now. One time I brought back the cook dinner, Dad was savage, He made me go back and give it to him. I could go on and on. Pete wasn't just Pete to me he was my Pete, he made me fell special , Pete showed those feeling to me every time I saw him, I loved him very much, No one spoke my name like Pete and the last time I visited him, I came into his room he smiled at me and said "DELLA". I well never hear my name spoken like this, until we meet again. Gwen and Family thank you for taking Pete in and giving him that extended family, he loved you most of all. Also speaking of you every time I saw him. So sorry to hear about Uncle Peter’s passing. My condolences to all of our extended family. I will hold tight the memory of our last meeting which was filled with happiness and laughter. It was sad to hear of your leaving. Another part of our family has gone home. I remember you well as a young boy growing up in Gander and visiting you and Grandfather in the small house in Clark's Head. Rest in peace, now your with our Mom and the rest of the passed Francis family.